Post Box Cottage combines perfect rural peace with easy access to explore the delights of South West Cornwall. Numerous walks are readily accessible and, for the cycling enthusiast, there is The Old Mineral Tramway which runs from Devoran all of the way to Portreath on the North Coast. Perranwell, the local village, has a wonderful old pub serving excellent food and a post office selling a wide range of provisions. Ground Floor: Porch, kitchen, dining room & lounge area. Shower room with WC. Garage containing a freezer & dryer. First Floor: Master double bedroom, twin room & single room. The bathroom is on the half-landing between the ground & first floors with a sunken bath and shower. Exterior: Patio and garden area with external furniture. Heating is via central heating throughout. The kitchen has a range of equipment. There is an electric oven and hob, a microwave, toaster, kettle, fridge, dishwasher & washing machine. The lounge area has a flatscreen digital Freeview TV & DVD player. There is a CD & Radio. WiFi is available at the property. There is an iron & ironing board. Electricity, heating, bed linen & towels are all included. There is free parking facilities outside the property. Up to 2 well behaved dogs will be permitted at a small additional cost of £25 per dog / per week. Regrettably no smoking is allowed. There is a cot & high chair available. Arrival / Departure is usually a Saturday. Perranwell Station is equidistant between Truro to the north and Falmouth to the south. Both are approximately 15 minutes drive away. The Cathedral City of Truro is in the heart of Cornwall and offers a wealth of facilities for the visitor. Dominated by the stunning cathedral, it is one of the south west's most attractive cities. Lemon Quay plays host to many events throughout the year including the Cornwall Food & Drink Festival in the Autumn and the famous Truro Fatstock Show just before Christmas. Regular farmers markets occur every Wednesdays & Saturday and there are also arts & craft markets on Saturdays. There is a wonderful range of shopping for the visitor including all the regular high street stores in addition to Marks & Spencer, Tescos & Sainsburys, but also a wide range of more specialist stores. It really is worth a wander through the back streets and alleys to find some fabulous little boutiques. Truro has a superb range of restaurants from Bustopher Jones & Mannings on Lemon Street to the always popular Pizza Express. There are lively bars, pubs & nightclubs including the Old Ale House, a busy Wetherspoons and the infamous L2 if you are so inclined! Falmouth is one of Cornwall's most popular places to visit because of it's unique mix of attractions, water sports, beaches, history and place to eat. The National Maritime Museum Cornwall and Pendennis Castle are both high on visitors lists of places to visit and the views from Pendennis on a fine day a truly magical. Falmouth is the sailing capital of Cornwall with its spectacular deep water natural harbour offering a haven for both cruisers and racers. Many events are held through the summer culminating in the famous Falmouth Regatta Week and associated shore side events. You can enjoy the fireworks from your very own balcony! Guest from St. Ives stayed for 7 nights. Good location, good condition, good comfort,all in all for us ideal. Would go again out of season as much less crowded. We have been coming to this lovely cottage for about 12 years now, sometimes on our own and sometimes with family. This time we were with a cousin and his wife who hadn't explored Cornwall for nearly 40 years. Postbox Cottage was, as usual, ideally located for introducing them to all our favourite places. The weather was fantastic, showcasing Cornwall at its very best at this time of year. This cottage never disappoints, is well equipped, nicely furnished, clean, warm and comfortable. Our sixth visit to Post Box Cottage and as usual a very good week. The location means that you can visit both north and south coasts of Cornwall easily. The cottage is exceptionally well equipped and is ideal for summer or out of season holidays. Our only concern on our recent visit is that we noticed the land adjoining the cottage has been sold and we wonder about the possibility of building work in the near future. Would appreciate any feedback on this concern. Guest from Sedgwick stayed for 7 nights. We enjoyed our stay at Post Box cottage very much, it was like being at home. It was an excellent base for touring west Cornwall. It was well equipped, warm and comfortable. Guests must mind their head when coming down the stairs from the kitchen! Thank you. We enjoyed a stay at the Post Box Cottage, it has everything you need to hand. On arrival it is clean and tidy with a beautiful arrangement of flowers to welcome you along with a cream tea in the fridge start your holiday with style. This cottage is in the perfect location for all the sights in Cornwall and the local towns of Falmouth and Truro only a 5-10-minute drive away, if you fancied a fish & chip take away or the perfect pastie. We had arrived early and got caught in the rain, so had contacted the caretaker to ask if it was possible for us to gain access to the cottage a few hours earlier. The caretaker was very helpful and replied quickly. Been able to go on holiday and take a dog with us is a real bonus. We would highly recommend this cottage to everyone. Guest from Dorchester stayed for 14 nights. This was our third visit to post box cottage in the village of Peranwell Station. The property is well laid out with three bedrooms, two bathrooms, sitting room, dining room and a well equipped kitchen. There are plenty of games in variouse cupboards and some dvd's. It would be advisable to take your own dvd's if the weather is poor. Post box cottage is well placed to visit South, West and North coasts of Cornwall,upto Padstow and St Austell, or to Falmouth, lands End and St Ives. Plenty of good walks nearby for families with or without dogs. Dog friendly beaches not too distant. Good pub nearby. Guest from Ruislip Manor stayed for 7 nights. The cottage was lovely, clean and comfortable and in a quiet location. On arrival we were greeted with fresh Cornish scones, jam and cream and fresh flowers in the lounge which gave a very homely feel. There was a pleasant down-hill stroll to the shop and pub. Guest from Wynn Vale stayed for 5 nights. Lovely cottage that fitted the bill perfectly , clean warm and cosy and away from the maddening crowd . Would have no hesitation recommending the cottage to anyone . Guest from Wallingford stayed for 5 nights. We really liked Post Box Cottage - quirky layout with lots of space and everything we needed. Good for our two dogs too! Really cosy and warm with masses of (very) hot water. Also very good WiFi - important for us. Only one complaint - the quality of the bedding, particularly the pillows, was pretty poor. They were extremely hard and uncomfortable. Lovely duvet in the master bedroom but not so good in the twin. Everything else was great. Nice comfortable cottage in a remote location with easy access to other parts of Cornwall. Wifi included made booking restaurants easy. Lovely cottage,great location,great for the two of us and our two Labradors . Really nice touch with the cream tea . We will definitely be staying there again. Guest from Tiverton stayed for 7 nights. I could not contact the housekeeper on her mobile when I could not find the key to front door. It was 2 - 3 hours later that she telephoned and told me that she had never had a problem before. The ground floor (living room and dining room) smelt strongly of damp which was unpleasant. I bought some scented candles to disguise this. I suggest that these should be available to other paying guests. Our housekeeper was visiting a relative at the time of the call (7.40pm) and was not aware that her phone had no signal in her handbag. Just over 15 minutes after your initial voice message she received a text message from you to say that you had found the key. despite this text message she still made contact with you later in the evening to make sure you were in safely and, on enquiring why you had difficulty finding the key, it was ascertained that you had misread the detailed instructions that had been sent to you from Cornwalls Cottages. It was a shame you ended the call so abruptly. NB Cornwalls Cottages also have an emergency number. Regarding your mention of a damp smell, we are certainly not aware of it and have not had any other comments such as this, we will certainly NOT be supplying or suggesting to guests that they use or bring scented candles with them, firstly as this would be very irresponsible with the potential danger and secondly we are not in the habit of masking problems that are brought to our attention, instead we would rather deal with them immediately as they may arise and as yet , we have not found a similar problem to the one that you describe. We are glad that you and your two dogs could come and enjoy the cottage and the surrounding countryside and it is a shame it rained so much during your stay. Had a weeks stay in post box cottage in june 2017, nice spacious and comfortable cottage within a good location. Well placed for visiting other parts of cornwall, car recommended. Guest from Nuneaton stayed for 14 nights. There is no doubt that Post Box cottage is a charming house near the village of Perranwell. which has a useful shop and a village pub. The cottage is probably the best equipped that I have ever used, and I have had a few during the past ten years. I would recommend this property to others, but there are two things that I would like to point out. The four steps that lead to the kitchen might be difficult for people with disabilities and the noise from passing large agricultural vehicles and lorries might be disturbing to some people but on the whole this is a very nice and delightful holiday cottage. Guest from Totland Bay stayed for 6 nights. The cottage is very pretty and I booked it as it was in perranwell station ,my daughter had suggested this area as a place I could move to. It was very comfortable though some of the kitchen equipment / utensils could have been cleaner. I personally found the traffic a very big problem . The speed which both cars and tractors go up the road causes a lot of noise. The tractors in particular are very fast and noisy and these start early in the morning which woke me up. I have lived in villages in which tractors regularly used the road I lived in but we we had a garden to the front which I imagine absorbed some of the noise. I currently live in a lane with no through traffic so I have become used to a very quite location. I am may Irecommend the cottage to others but would have to advise them about the traffic. The cottage was nice, warm and cosy and in a very good location, in fact the village itself was very friendly with good amenities. The kitchen was well equipped but looking a bit tired. Wifi was brilliant. Downstairs we found it quite spacious but upstairs we thought that the twin bedroom was quite small. The bathroom and shower room were very good. A lovely peaceful stay at a charming cottage. It was well maintained and very cosy. A nice place to return to after a hard days walking. Far enough away from anywhere busy but close enough to main roads. The local pub is within a 15 minute walk. Take a torch as there is no footpath. The pub is dog friendly and the staff are friendly too. We have stayed at this cottage many times over the years, sometimes on our own sometimes with family, and it is always warm clean and welcoming. A home from home to come back to at the end of a day. We would not hesitate to recommend it. Guest from Enfield stayed for 7 nights. We had a lovely week. The cottage is in a great location for exploring. Local pub has a great at atmosphere but we didn't eat there. Cottage is the best equipped we have ever stayed in. I would recommend the cottage without any hesitation. Guest from O'connor stayed for 7 nights. We used the cottage for our exploration of south-west Cornwall. We particularly enjoyed the small villages, including Fowey, St. Mawes, Port Isaacs and then going to the Lost Gardens of Heligen was amazing and Mevagissey. All of these locations were within a 1 1/2 hour drive of the cottage. We also travelled to Falmouth by train with free parking at Perranwell station. We must add that the Royal Oak in the village was a very friendly place to visit and we had a meal there too - it is essential to book. In fact everyone we encountered in the village was very friendly. I would like to recommend the Post Box Cottage. The location of the cottage is perfrect, if you are going to Landsend of the Eden Project, there is nothing that is more than 50 mins drive away. The local towns are Falmouth and Truro, they are both delightful towns with lots to expore. The cottage is very well equiped, with everything you could need, the only way to describe it would be "home from home" the garden is relaxing to sit in. We spent a few evenings sat with a glass of wine relaxing, listening to the birds, chatiing, we evening had a friendly cay visit us. And the personal touch, of a welcomeing bunch of flowers and a delious pack of fresh scones with cream a jam, was a lovely surprise after a long drive. Lovely comfortable cottage, great location, very well equipped for a family of 5! We had a lovely, peaceful stay at Post Box Cottage, the cream tea on arrival was very nice, the cottage was comfortable, clean & kitchen very well-equipped, high chair & travel cot greatly appreciated, as were the passing tractors! We enjoyed evenings sitting out in the garden, plenty of games & puzzles & books to keep the kids occupied, caught the train into Falmouth for a car-free day out, and would definitely recommend Maenporth beach & Trebah gardens. Fantastic place to spend our holiday. Everything that we required was included in the cottage. We had one small issue with outside chairs, where previous people had not reported the damage they had caused, we contacted the caretaker and problem was resolved within an hour or so. We were very impressed with the level of care. Cottage was central to our holiday destinations and very peaceful. We have stayed here many many times and its just a place we instantly relax ready to enjoy the holiday and beautiful scenery and beaches. The cottage is very spacious with a good garden. A few days of pure bliss. Post Box Cottage is a lovely, quiet property providing home from home comforts. I didn't notice the amount of steps throughout the cottage the first time we stayed but on this occasion, having injured my back they were very noticeable. It was very useful having a downstairs shower and toilet, the carpeted stairs were ok with secure bannisters for ease of going up and down stairs, the biggest issue were the steps into the kitchen, they were quite slippery and would benefit from having some treads. The secluded garden particularly makes it attractive for dog owners. The location is ideal for visiting surrounding attractions. Overall the cottage is a 'haven' providing a few relaxing days away. Guest from Bognor Regis West Sussex stayed for 7 nights. Lovely cosy cottage with everything you need. Very nice touch of vase of flowers and cream tea that awaited our arrival, very much appreciated and a great start to our holiday. Great location for days out and some nice walks. Beautiful enclosed garden which was ideal for our dog. I couldn't fault this idyllic cottage, loads of pamphlets in draws, games, puzzles etc, literally they have thought of everything. Thank you so much for a very enjoyable holiday and stay in Post Box Cottage. Guest from Gross-zimmern stayed for 3 nights. Guest from Bournemouth stayed for 5 nights. Great property at a great price. Lovely inside and very cosy thanks to the central heating as it was quite a cold breeze blowing.. Everything worked and very well equipped. Very good location for getting around to places like Lands End, Penzance and many others. When we arrive everything was ready very clean and tidy. Garden was secure for our dog Alfie to enjoy exploring it and we were happy in the knowledge that he was safe. Thanks to all concerned for helping to make it a really good holiday. Great property at a great price. Lovely and cosy. Everything worked, and we had a lovely stay. Thanks to the owners and the agents and the cleaners. Everything went very well, and as usual Cornwall was perfect! Guest from Truro stayed for 7 nights. A beautiful cottage, perfect for a family Christmas break. Good sized rooms and really warm and cosy. Good location for exploring the North and South coasts. Guest from South Petherton stayed for 7 nights. We very much enjoyed our stay at Post Box cottage. Great location being between Truro and Falmouth. Perranwell is a delightful village with wonderful little pub...The Royal Oak...amazing food! Guest from Wotton Under Edge stayed for 7 nights. Great cottage, nice and large, well equipped and in a great location to get to Falmouth, Truro, Redruth and even Newquay or Lands End. Very handy having 2 showers, and the downstairs is nice n warm due to the boiler. Lovely welcoming cream tea. Pubs that have been recommended by others are nice enough if you like mostly fish based menus. The food was good, but a little pricey for some. Local pub in Perranwell is really welcoming, but quite small. Train to Falmouth was excellent price and is easier than trying to drive down and park. Would recommend train to Falmouth Docks and do Pendennis castle. Not been to a castle that allows kids to be so hands on before. Loads of leaflets in the drawers in the sitting room, and some useful maps too to help you find other places. Also loads of books to read, some games and jigsaws there too. Guest from Scunthorpe stayed for 14 nights. Had a lovely two week stay in this Cottage.Supplied every thing we needed for our stay. Nice welcome of fresh flowers and fruit scones with jam and cream.Good enclosed garden for children and dogs.Nice and quite apart from the odd tractor fetching potatoes, up and down the road outside.Hope to stay again some time. Guest from Castleford stayed for 14 nights. The location of the cottage was absolutely perfect. It had everything we needed including a secure garden for our little terrier. Unfortunately though he does not like tractors and there were quite a few going by each day which upset him but that's his problem and not the cottage! The pub in the village is delightful and has lovely food too. The staff and locals are very welcoming. We were able to visit everywhere we wanted to as it was all within an hours drive. The two bathrooms were definitely handy and the sitting room was a good size to relax in although a little dark at one end. All in all we had a fantastic time and we would like to return in the future. Guest from Oldbury-on-severn stayed for 14 nights. Post Box Cottage is a very comfortable place to stay and easy to settle in on arrival. Location is very good for north & south coasts and main towns in west Cornwall, also not too far for east and north Cornwall. Guest from Chorley stayed for 14 nights. Very good cottage in an excellant area, comfortable and clean well equipped affords reasonable access to all of Cornwall,particularly good walks in this area. VERY COMFORTABLE COTTAGE.VERY WELL EQUIPED. HAVE VISITED 4 TIMES. EXCELLENT LOCATION FOR VISITING ANYWHERE IN CORNWALL. PLENTY OF EATING PLACES NEARBY. RECOMMEND PANDORA INN. ESPECIALLY ON WARM EVENING OVERLOOKING CREEK! WILL RETURN IN FUTURE. Guest from Darlington stayed for 7 nights. Excellent property for comfort, facilities & location, have recommended it to friends & family. We were so at ease and relaxed in this beautiful cottage, we hardly wanted to come home ! The kitchen was amazingly well equipped; the cottage was immaculate, everything we needed was there. The location worked really well for us. The garden was a beautiful resource too, and there was so much space in the cottage and plenty of storage everywhere so it was effortless to live there, which is not always the case with some cottages. We would definitely go again ! Guest from Milford stayed for 7 nights. This is a lovely cottage in a beautiful location, well equipped for an enjoyable stay. Handily located to Falmouth, Truro and all the best sights of Cornwall, it makes a great base to explore the area. Guest from Swindon stayed for 8 nights. This is a lovely comfortable cottage which feels like a home from home. You will find the kitchen is exceptionally well equipped for a rental property and there is plenty of room for a party of five. We have been going there for 8+ years either as a couple or with the family and highly recommend it. It is also ideally situated for exploring south west Cornwall. Guest from Long Wittenham stayed for 7 nights. Lovely place to stay, would recommend to others, personally I wouldn't go again as I would be looking for somewhere that wasn't such a long drive as I have a small child, but would recommend it to folk with older kids who were more use to travelling. Guest from Rotherham stayed for 7 nights. Guest from Rye stayed for 7 nights. Our stay at Post Box Cottage was great. The cottage was spacious and clean and ideally suited to our needs. Having WiFi was an essential with teenagers and having two bathrooms was a bonus. After a long journey, finding cream teas waiting for us was heaven and the fresh flowers very much appreciated. The position of the property was ideal for easy access to all areas of Cornwall and it's quiet and secluded situation a welcome respite at the end of busy days out. We would certainly not hesitate in renting this property if we visit Cornwall again. We stayed at the Post Box Cottage in Perranwell during the month of March when the daffodils were all around us in the fields,hedgerows and gardens of Perranwell . Its a short trip from the cottage to Truro and Falmouth either by car or from the village train station. We used the train once to go to Falmouth, we took the car from the cottage its quite a long walk and used the free car park at the station. First night we eat at the village pub ROYAL OAK, very nice food and popular as the pub was full that Saturday night. The King Harry Ferry will take you to the Roseland Peninsula. We visited the castle and village of St Mawes and the church and its grounds at St Just. Heading further west you have The Lizard, Gwennap Pit. St Michaels Mount, Penzance, Mousehole, Minack Theatre, Lands End and St Ives, for the younger ones Flambards near Helston and Seal sanctuary at Gweek (little expensive) maybe of interest. Hayle Towans with its miles of white sandy beaches and dunes makes for a nice day out if the weather is favourable. Get a Pasty from Philps at the quay in Hayle and take it to the beach for lunch. We would also recommend THE PANDORA INN a short drive away at RESTRONGUET, good food, nice pub, great setting especially on a nice day. Those interested, in the pub wall is a Post Box painted gold. One of those celebrating a 2012 Olympic Gold medallist. This one is for the sailing multi gold medallist Ben Ainslie. The Post Box cottage was great. Very spacious and had everything you would need. Fully fitted kitchen, two toilets, shower and bath in separate rooms, free wifi, bicycles you could use are in the garage which you could also use for your car if asked in advance. We didn't use the garage, we were happy at parking the car on the road in front of the cottage where we had no problems.You are in farm land country so expect farm vehicles to pass by regularly. One very minor issue we had with our stay was the spotlights in the ceiling in the kitchen. We had a number blow and shatter. We don't know the reason for this but can be a little scary. We were using the bathroom preparing for bed when one blew, another blew while we were out, we saw the remains on the floor before walking on it and the first my wife was alone in the cottage watching TV which spooked her. However, we enjoyed the stay at The Post Box cottage and would be more than happy to make a return in the future. A lovely well equipped cottage. If you like peace and tranquillity, then this is the cottage for you. Extremely well equipped cottage and very comfortable for a family to stay. The little garden with the table and chairs was well used and not overlooked by anybody. Would definitely recommend staying at this cottage. My daughter and her boyfriend came with us and my grandson and we all had plenty of space. Will definitely return again. Guest from Gwernymynydd stayed for 14 nights. Fantastic cottage, home from home. Lovely cream teas and fresh flowers on arrival. Brilliant location in between Truro and Falmouth, and only 20 mins to a lovely clean family beach. Highly recommend. Nice clean, comfortable cottage in a good location for easy access to most of Cornwall. The cottage has a pleasant garden and has all the facilities we would need. Post Office Cottage is a lovely cottage. 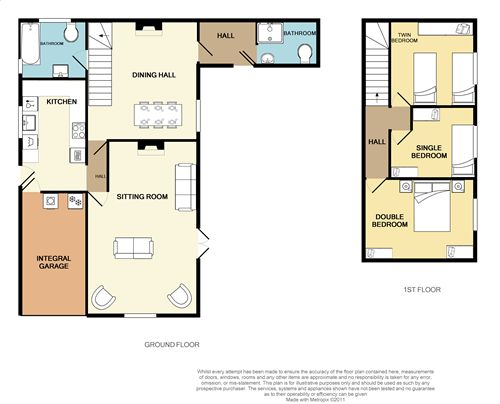 It is spacious and it's layout provides privacy for everyone. It's a quite place with a lovely, colourful garden. We enjoyed a number of warm evenings just soaking up the sun on the patio. It's location is fantastic in many ways. It is in walking distance to the local village, the pub and the train station. It is also conveniently located to all the beaches, Falmouth, Truro and many of the gardens. Journeys to a large number of attractions and sights are within an hour. The cottage is well kept and we were made welcome with a nice bunch of flowers and a plate of scones and cream - a very nice touch indeed. We can certainly recommend the cottage and already planning our next stay. super cottage in an ideal location to suit our needs. Very well maintained, well equipped, comfortable, and clean throught.There is plenty of walking on good class bridleways and footpaths directly from the cottage as well as easy access by car to all parts of Cornwall. First impressions, a lovely, clean, fresh and spacious cottage in a beautiful village. We have two small dogs and the secure garden was one of the main reasons for booking the cottage. The garden was perfect and so were the various walks surrounding the cottage. The smell of fresh flowers and the delight of the cream tea further enhanced the pleasure of our arrival at the cottage. Everything was available and there really were home from home comforts. By everything I mean things like cling film, foil, sewing kit, washing up products etc. Basically all the little things that often forgotten. The caretaker was one phone call away and very prompt to respond to my request. The additional information of local attractions and facilities were very useful, as was the reviews written by people in the visitor books. Guest from Fordingbridge stayed for 7 nights. Excellent all round and great value for money. Cream tea waiting for us on arrival was a lovely touch. Ideal location for walking the dog (if you don't mind a few hills:-)). Truro and Falmouth just 10 mins away in the car or you could take the train which was surprisingly cheap... The cottage was very comfortable and well equipped with a lot of little touches and more than enough space for four and a dog. We will certainly be looking to book early for next year. Guest from Epsom stayed for 14 nights. Guest from Oulton, Lowestoft stayed for 7 nights. Warm and comfortable. Lovely touch of welcome scones and fresh flowers. Great location easy to get to all coast both sides for amazing coastal walks. Also good footpaths from cottage. Loved it ! Guest from Deddington Nr Banbury stayed for 7 nights. exellent accomodation.Location in a good village with an exellent local Pub.Only drawback tractorloads of potatoes passing going to local farm ,maybe seasonal.Not too disturbing. Guest from Weston-super-mare stayed for 7 nights. We had a great time in Postbox Cottage. It was well equiped and both child and dog friendly which made our stay very relaxing. We had a lovely welcome of a cream tea on arrival. A beautifully converted barn on a courtyard of buildings in the grounds of Cosawes Barton in rolling countryside about 15 minutes' drive north of Falmouth.